When it comes to new roof installation, you can rely on us to ensure you get the best results for your home in Concord. Are you building a new home, and you need a roofing company to complete your new roof installation? Would you prefer to work with a company that will ensure your home is well-protected? 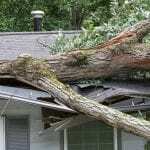 At JM Reynolds Builders, LLC, we are roofing and gutter specialists. So, when it comes to new roof installation, you can rely on us to ensure you get the best results for your home in Concord, North Carolina. Free Estimate – At JM Reynolds Builders, LLC, we know that your budget plays an important role in your roof installation and in the home building process. That’s why we are happy to provide a free estimate for your roof installation, so you’ll know exactly what to expect from our roofing services. We can also discuss our excellent financing options that can make the process of adding a new roof less stressful. Quality Materials – We are committed to using only the highest-quality materials during our roofing jobs, and with our attention to detail and specialization in roofing and gutters, you won’t be disappointed when your roof installation is complete. Great Service – Customer satisfaction is our number one priority, and that means you can rely on us to provide the high-quality service you have come to expect and deserve. We’ve never had a bad review at JM Reynolds Builders, LLC, and that shows in our A+ rating with the Better Business Bureau. If you have questions about new roof installation or adding gutters to your home, or if you would like to schedule an estimate, please contact us today for more information. We look forward to assisting you! 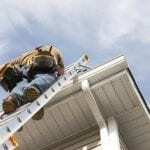 At JM Reynolds Builders, LLC, we offer roof installation services in Concord, Kannapolis, Cabarrus County, Charlotte, Salisbury, Mooresville, Huntersville, Granite, Quarry, Davidson, and Paw Creek, North Carolina.